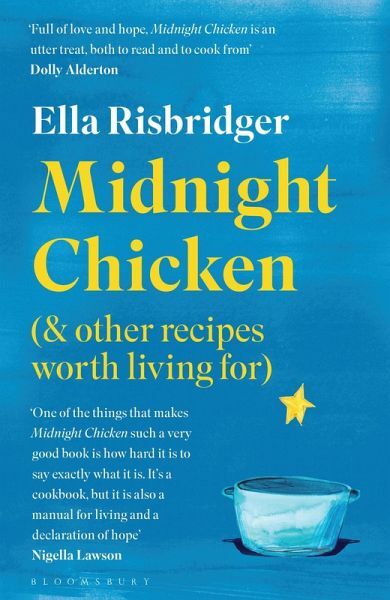 Midnight Chicken is a cookbook. 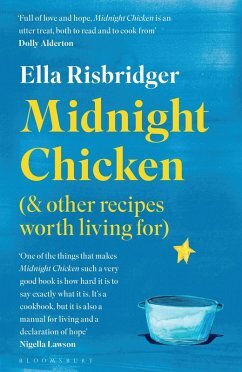 Or, at least, you'll flick through these pages and find recipes so inviting that you will head straight for the kitchen: roast garlic and tomato soup, uplifting chilli-lemon spaghetti, charred leek lasagne, squash skillet pie, spicy fish finger sandwiches and burnt-butter brownies. It's the kind of cooking you can do a little bit drunk, that is probably better if you've got a bottle of wine open and a hunk of bread to mop up the sauce. But if you settle down and read it with a cup of tea (or a glass of that wine), you'll also discover that it's an annotated list of things worth living for - a manifesto of moments worth living for. This is a cookbook to make you fall in love with the world again.